** FULLY REDECORATED THROUGHOUT ** We offer a modern townhouse - full of interesting design features. The property is situated in cul-de-sac off East End Road and a short walk to East Finchley's amenities and tube. The property can be configured as a three/four bedroom or two double bedrooms and one/two multi use rooms (double and single size) on ground floor (suitable for office space/au pair/older child). 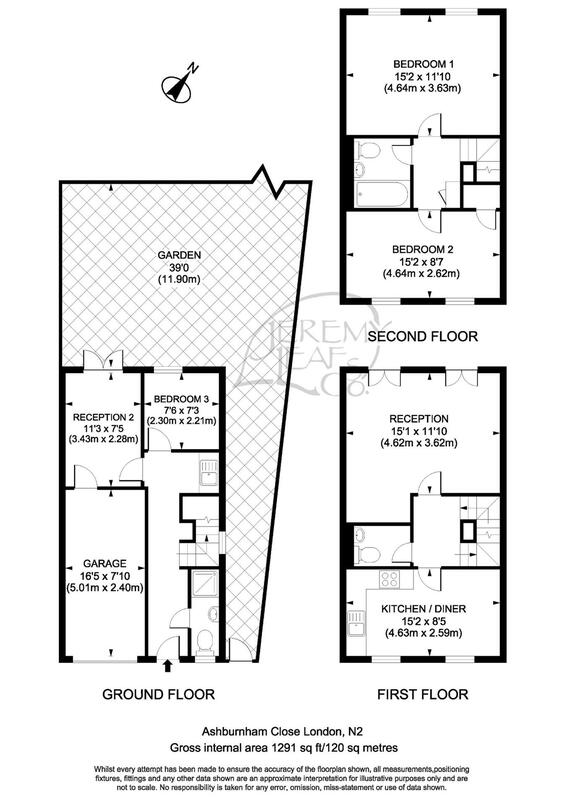 PLEASE REFER TO FLOORPLAN. Reception with 2 Juliet balconies, fully fitted kitchen/diner, guest WC, family bathroom, wood flooring to ground floor, integrated garage, utility area and downstairs shower/toilet (wet) room. Off street parking for 2/3 cars (in addition to garage), side access to garden, part paved, mostly laid to lawn. Council Tax Band F. PETS CONSIDERED. UNFURNISHED. AVAILABLE NOW.